I found these really cute colored lightweight t-shirts at a discount store for $1.99 each. I thought they would be perfect for another t-shirt nightgown for my daughter. 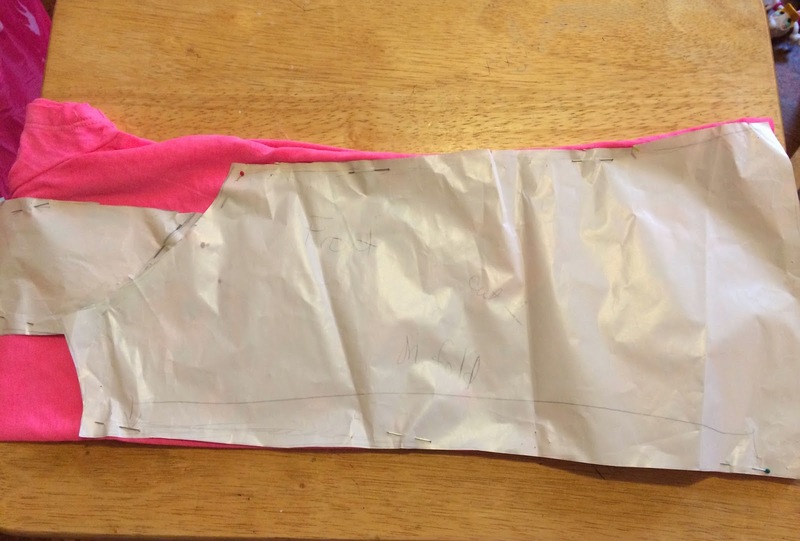 Take the front bodice pattern and tape the short end of the sleeve to the shoulder of the bodice. 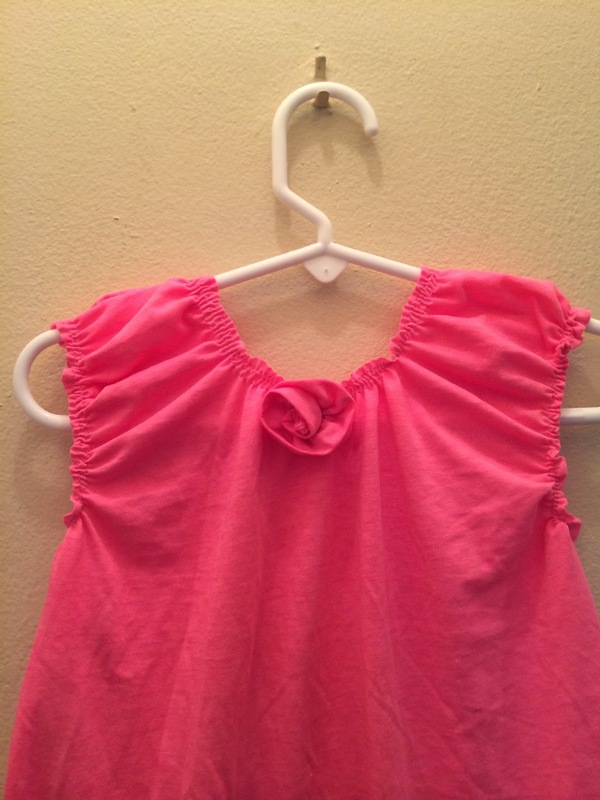 Fold shirt in half and place pattern on top. Try to match the pattern and t-shirt as much as possible and pin in place. I lined the bottom edge and the side seams to the pattern so I wouldn't have to sew them. Cut along the pattern lines. 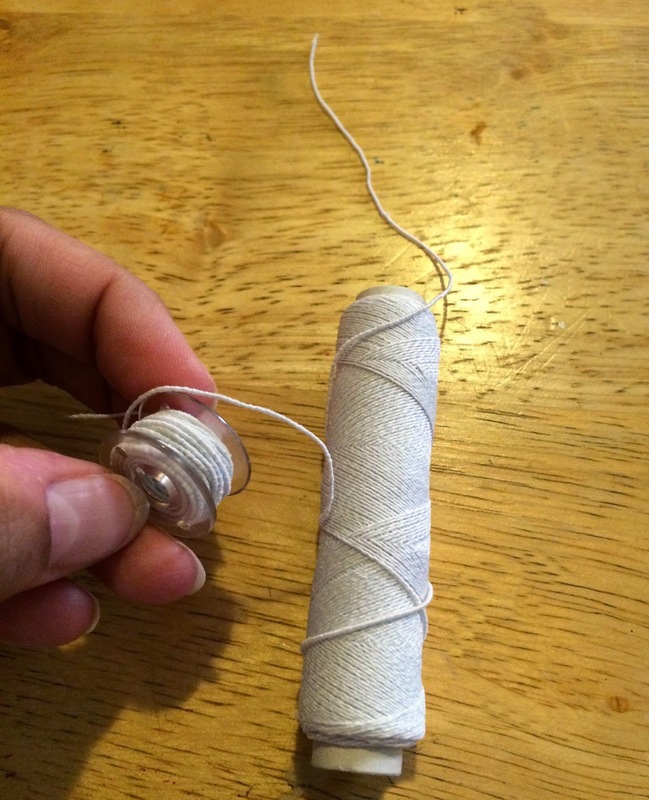 Take an empty bobbin and wrap the elastic thread around by hand. Make sure to not stretch the elastic as you wrap around. You don't want it to be too loose either. Carefully place bobbin into sewing machine and pull up the elastic thread through the machine manually by turning the wheel and pulling up with the upper thread. Set your sewing machine to sew a basting stitch or a very long stitch length. Sew the bottom of the sleeve 1/4 inch from hem. Sew another line a scant 1/4" from the line you just sewed. Repeat for the other sleeve. Repeat the same process in step 7 going all around the neckline. This time you want to go around 3 times. You don't have to stop and start for each line. Just go around in a spiral manner. 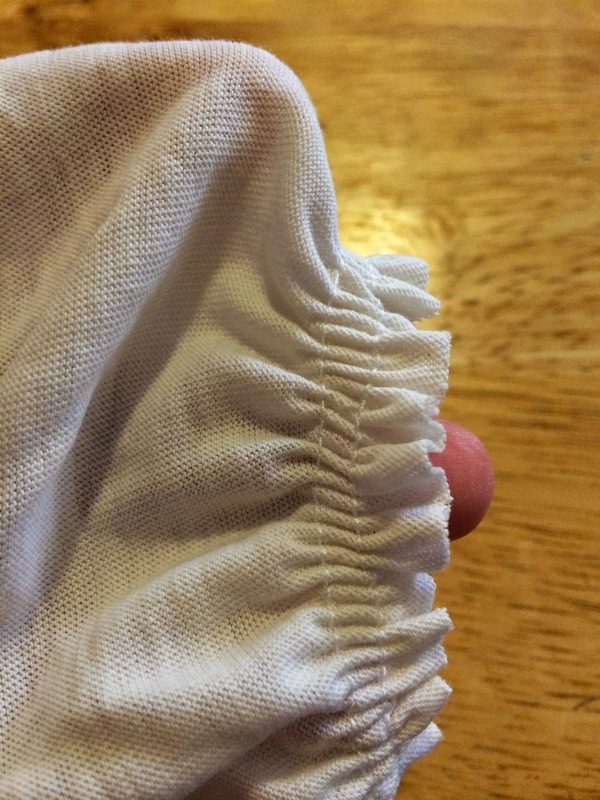 Optional: I cut the cuff off of one of the original sleeves and sewed a basting stitch along the cut edge. I gathered it and rolled it to make a rose shape. 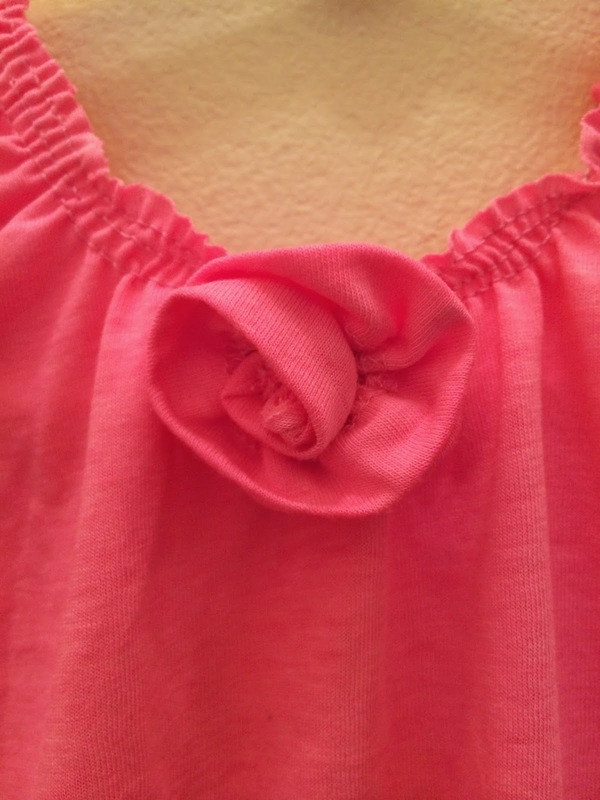 I stitched the bottom of the rose so it doesn't unravel then sewed it to the center of the front neckline. you make it look so easy. I guess I'll never know until I try right? This is adorable! I'm horrible at sewing so would never be able to do this right but you did a great job. Such a cute, cool gown. I really like this for summer! What a great idea! I'm not great a sewing. I really wish that I could learn correctly. Love the gown. Can't believe how cute that is! I especially love your flower. If you made several of these, you could even swap the flower colors for a little extra pop! You make it look so easy. I am sewing illiterate! I think it look better when it was converted into a night gown. A great idea to make a plain t-shirt a whole lot nicer. And the flower on the front is such a nice touch. I am always in awe of people who can sew, I can barely fix a button. This is such a cute idea for a little girl! 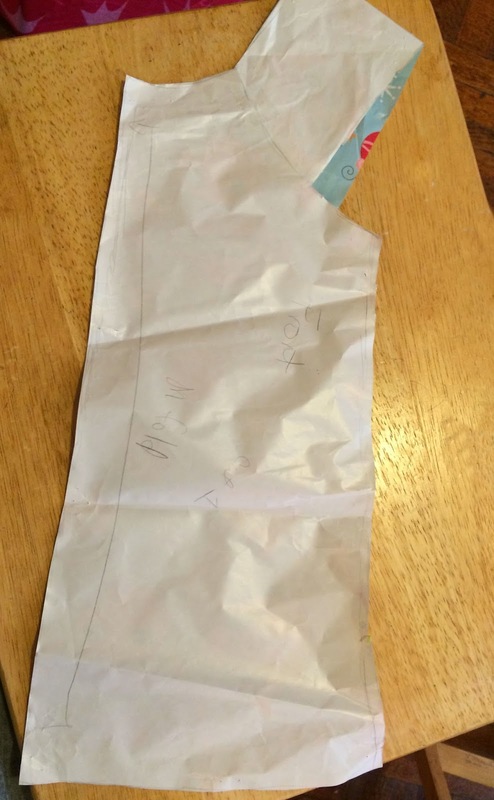 I really like that you used the wrapping paper for the template. I never know what to use. This is great, i can so see my daughter doing this.. I will show her and see what happens! I'm going to admit it, I can't sew even if my life depended on it. How Adorable Is This & So Easy I Love It Thank You For Sharing!! This is so cute. I might actually be able to pull this off too. This is such a great idea. It is so easy and cheap to make also,. Thanks for sharing. Oh, to be gifted in the ways of sewing....you make it look so easy! It is so adorable, makes me want to make one even though I don't have a girl! Great idea and so cute! I wish I had some sewing ability to do stuff like this. This is such a cute tutorial. I will have to share this with my mom friends who have girls. I love what you have done. I wish I knew sewing. This is a great idea! How I wish I had the skills to create things like this, haha! 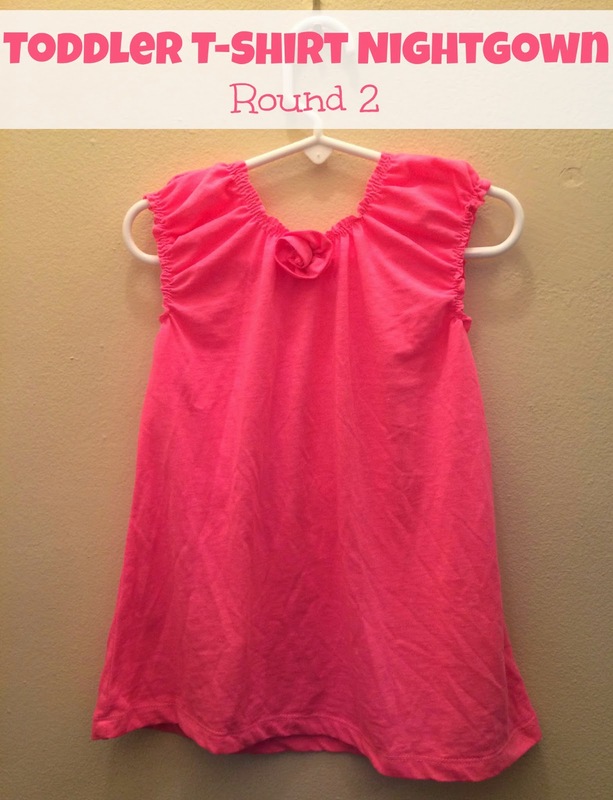 I love that you are re-using old tees to make the most adorable little girl nighties! I have no children or I might even attempt this. Actually I'd get my Mom to make them--she is the seamstress in the family. Love this idea! 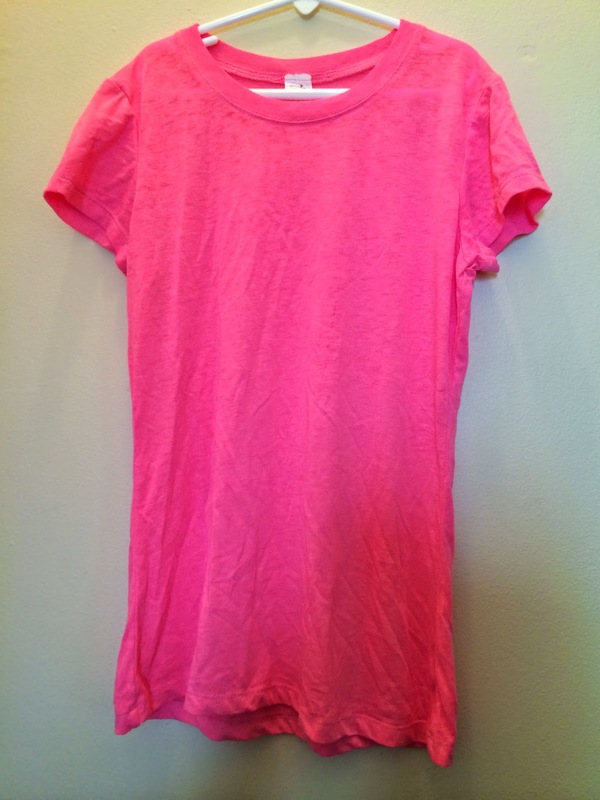 What a fun and creative way to turn a tshirt into a nightgown. This is so simple, I love this! I need to get a sewing machine, so I can make all kinds of cute stuff for the kids. This is a great idea.. Love that you are recycling your old T-Shirt for sure your daughter loved this. So cute! My three year old absolutely LOVES sleeping in nightgowns and this is a great way to up-cycle some of those shirts we've gotten as hand me downs that she might not otherwise wear! Thanks for the post! This is so cute!!! I think if I had had PJs like this as a kid, I would have actually liked and worn PJs. Me and my siblings (as my mother still likes to remind us) were famous for sleeping in our regular clothes. But in our defense, PJ options were always so ugly! They've come a long way in a short amount of time.